You’re reading the SN Military.Space newsletter we publish Tuesdays. If you would like to get our news and insights for military space professionals before everyone else, sign up here for your free subscription. 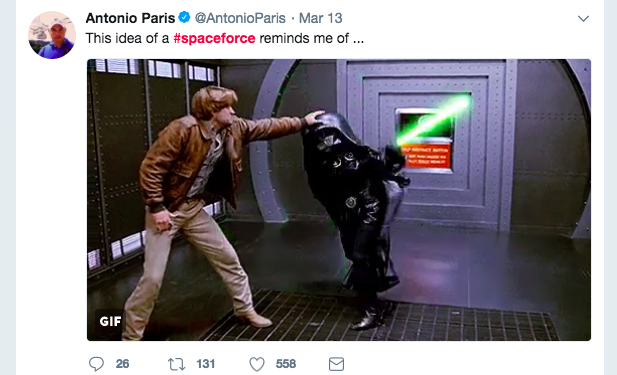 The internet has been having fun with President Trump’s talk of creating a military space force. 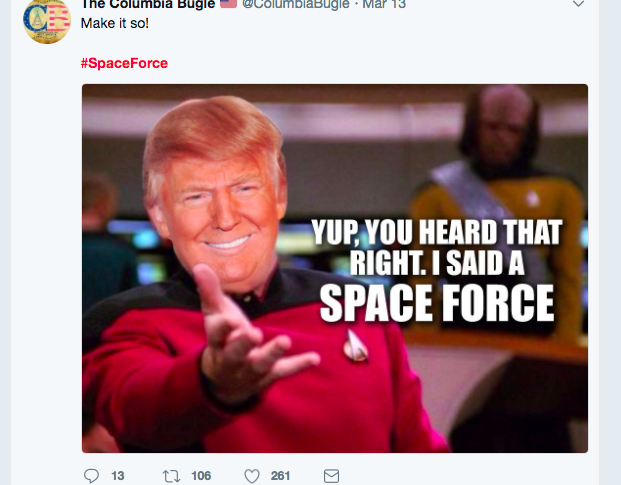 The president’s riff captured the public’s imagination, spawning memes and jokes about starship ninjas gearing up to fight the nation’s wars in space. But the reality is far more boring and complicated. 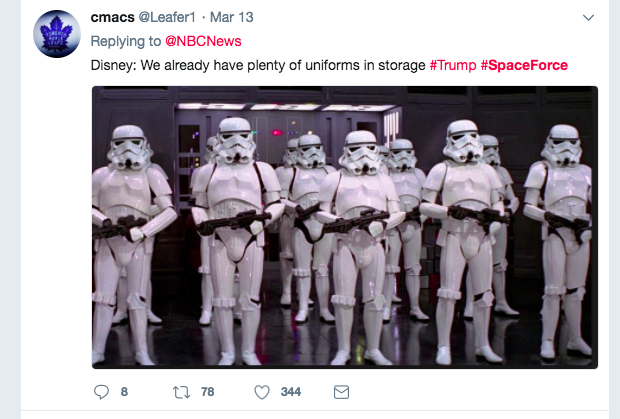 Before anyone rushes to design storm trooper helmets and uniforms, there is a congressionally mandated review under way — led by Deputy Defense Secretary Patrick Shanahan — that will lay the groundwork for what comes next for the military’s space forces that are now part of the U.S. Air Force. 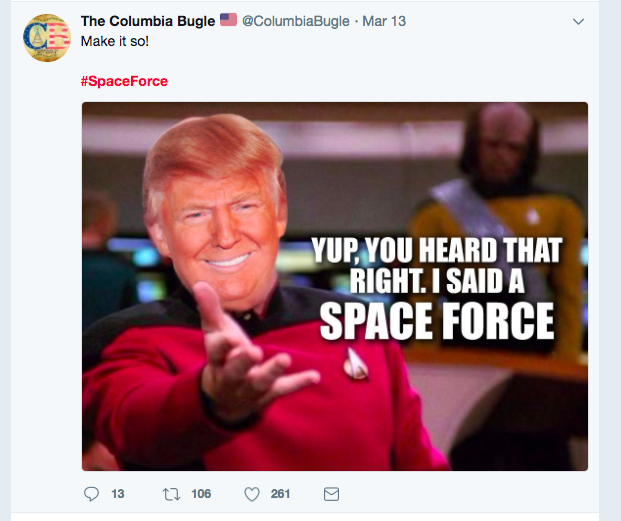 When Trump mentioned the space force in a speech last week at a Marine Corps base, people didn’t know what to make of it. But lawmakers pushing for the creation of a space corps seized on the president’s comments and pressed defense officials to explain how they would carry out Trump’s directive. Trump’s sudden attention to space also has been read as a sign of the influence of Vice President Mike Pence, who chairs the National Space Council. But as far as reorganizing military units into a space force is concerned, no such thing will happen at least until Shanahan completes the review by year’s end and Congress agrees on legislative language that would be rolled into the National Defense Authorization Act for fiscal year 2019. Retired Gen. Robert Kehler, former commander of Air Force Space Command and U.S. Strategic Command, wondered whether a separate military branch for space would become a shiny object that distracts more than it helps. 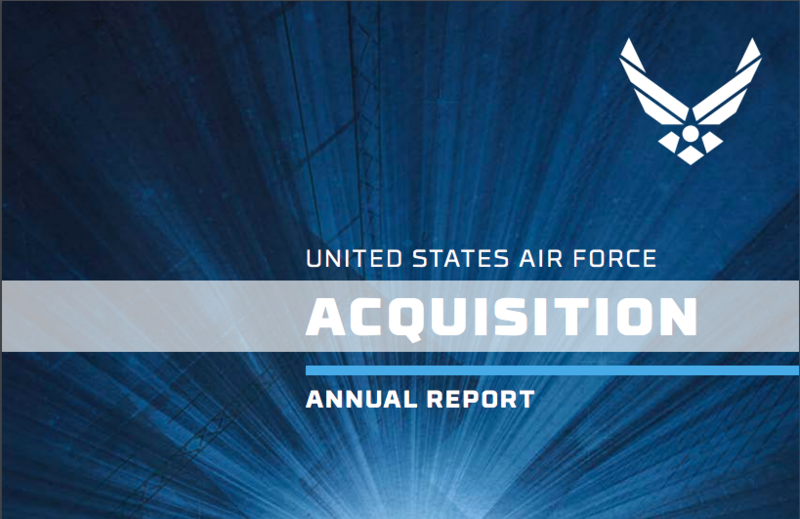 The U.S. Air Force this month dropped its annual report on weapon acquisition programs for fiscal year 2017. In three of the largest and costliest space programs — the AEHF communications satellites, the SBIRS missile-warning constellation and national security launch services — the Air Force claims to have brought prices down considerably. The original per-unit cost of satellites 5 and 6 of the Advanced Extremely High Frequency system, which provides secure, jam-resistant communications for tactical and strategic missions, was $1.7 billion, the Air Force reported. The current cost is $1.3 billion per satellite, a 23 percent drop. For the space-based infrared SBIRS satellites 5 and 6, the Air Force says the per-unit cost went down 12 percent — from $1.9 billion to $1.6 billion. The Air Force reports a 23 percent price reduction for EELV launches — from $421 million in 2013 to $326 million currently. The Evolved Expendable Launch Vehicle program provides space launch services for medium and heavy national security space missions. The Air Force’s numbers are in sharp contrast to those of the auditors at the Government Accountability Office. In the most recent annual report on space programs, GAO Director of Acquisition and Sourcing Management Cristina Chaplain looked at the expenses in each entire program and came up with results that show soaring costs. 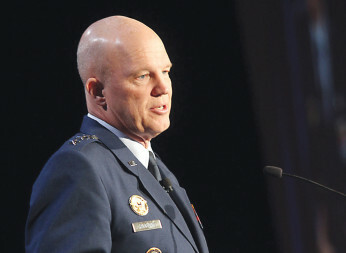 “The Air Force’s FY-19 budget accelerates our efforts to deter, defend and prevail against anyone who seeks to deny our ability to freely operate in space,” Gen. John “Jay” Raymond, commander of Air Force Space Command, said in a statement. 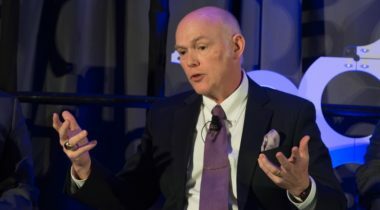 The unclassified space budget the Air Force unveiled in February includes $8.5 billion for investments in new systems — $5.9 billion in the research and development accounts, and $2.6 billion for procurement of satellites and launch services, according to a service official. The 2019 request is 7.1 percent more than the Air Force sought for 2018. Over the next five years, the Air Force projects to invest $44.3 billion in space systems — $31.5 billion in research and development, and $12.8 billion in procurement. That would mark an 18-percent increase over the $37.5 billion five-year plan submitted last year. Doug Berenson, managing director of the consulting firm Avascent, estimates unclassified space spending for 2019 total $7.3 billion, or $1.2 billion less than the Air Force’s number. Berenson said the difference is probably due to the Air Force counting ground-based equipment. Industry consultant Mike Tierney of Jacques & Associates also crunched the numbers and came up with a lower space total than the Air Force: $7.68 billion. At a time when the Air Force is under political pressure to show it cares about space, “how you count is a non-trivial issue,” said Berenson. 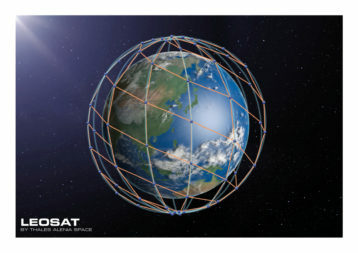 LeoSat has not even built a single satellite but has already booked $500 million worth of orders, its executives claim. In a crowded market for low-Earth-orbit satellite communications, the company believes it has found its niche marketing premium services to secrecy-obsessed clients, including the U.S. military. “We’ve had a lot of interaction with DoD and combatant commands,” Michael Abad-Santos, senior vice president of LeoSat, told SpaceNews at the Satellite 2018 exposition. Based in Washington, LeoSat is recruiting investors with a goal to begin launching high-capacity broadband satellites in 2019 and have an operating constellation of 78 to 108 spacecraft by 2022. What makes this system more secure than most? It’s an enterprise private network where data travels “end to end,” bypassing gateways and terrestrial infrastructure. Satellites are cross-linked in space via lasers. The Pentagon has been working with NASA, the Federal Aviation Administration and the National Reconnaissance Office on a review of the space industrial base, said Brennan Hogan Grignon, director of industry outreach for the secretary of defense. The “space industrial base working group” is looking at how agencies could share technology and, more broadly, how the government buys technology from the private sector, she said last week at a House Aerospace Caucus event on Capitol Hill.